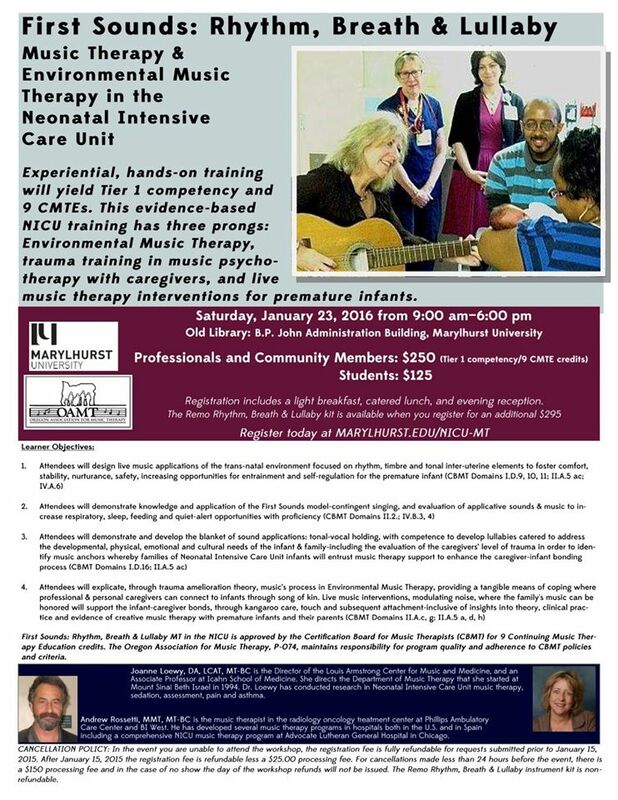 Please join us for an afternoon of connection with fellow Music Therapists and Students! Please consider running or nominating worthy Music Therapists for the OAMT Board. We have updates to the Bylaws and Job Descriptions which need to be approved by membership, (please see the January Blast Newsletter for links to these changes). Bring your favorite instruments to play, if you wish. Many will be provided. **Event is Free to all paid members. Please RSVP here, and please renew your membership here. Join OAMT for a Summer Barbecue, Potluck, and Music Jam! What: Join us for our spring Quarterly Meeting! We'll discuss what's new with music therapy in Oregon. Click each flyer to Register Now!! !